There are a few spots in the Pacific Northwest that I consider ‘favorites’: the Metolius River, near Sisters, Oregon is one of those. 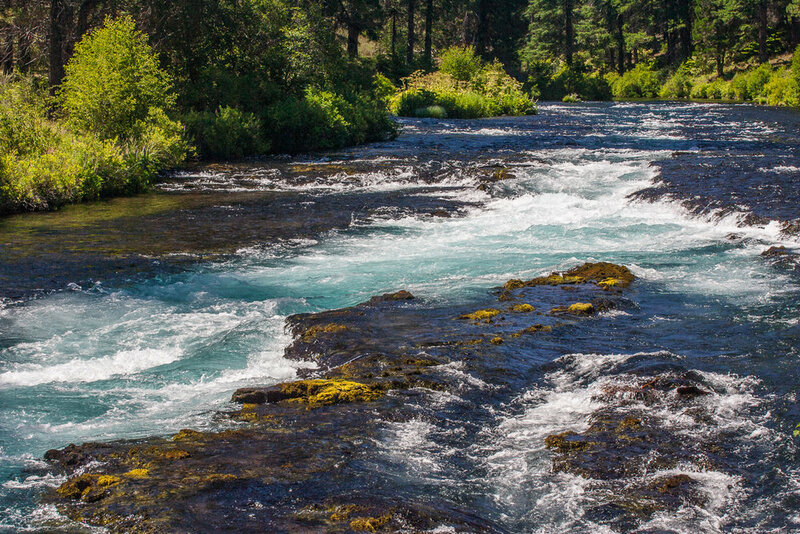 A friend of mine in high school days spoke enthusiastically about going fishing along the Metolius, but my first trip there didn’t come until later in life. The Metolius emerges quietly from the earth in a small spring near Black Butte, with a view of Mt Jefferson. Within a short distance, it develops into a surprisingly large and beautiful river, before joining the Deschutes River at Lake Billy Chinook; and eventually flowing into the Columbia River near Biggs Junction, Oregon. Although the pathway leading to the spring is surrounded by fenced and posted private land, it is reassuring to know that destination resort development in the area is prohibited by the Metolius Protection Act (Oregon House Bill 3298) passed into law in 2009. My wife and I especially enjoy parking at the Wizard Falls Fish Hatchery off of SW Metolius River Road (NF-14) and contemplating the aquamarine blue water flowing over the flat bedrock near the wooden bridge. We also enjoy looking for American Dippers and Common Mergansers that frequent the river. I have incorporated mental imagery from this bridge into my morning mindfulness meditation routine, and find it fits well with the concepts of stopping the ‘flow from the past’ and stopping ‘the flow to the future’. 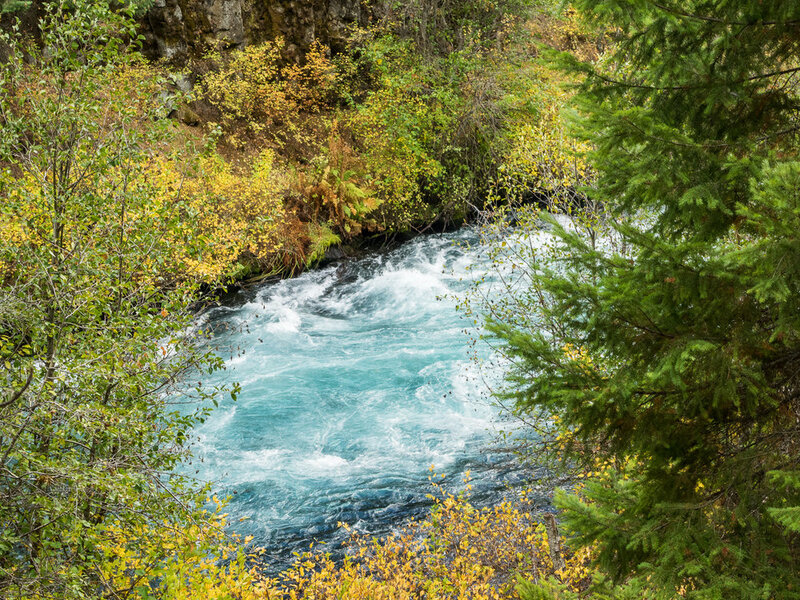 Hiking trails are set on both sides of the Metolius from Wizard Falls leading upstream and downstream. Our current favorite is trail number 4018 heading upstream on the west side. Ponderosa Pine trees are one of the delightful features of the landscape, especially on the drive from Sisters to the Camp Sherman Road and on to Wizard Falls. Along the road are controlled burn areas which I also enjoy for the colors, textures, and shapes in the thick bark of the charred trees. I am already looking forward to our next visit.